Sludgebusters is at the forefront of San Diego County's septic system installation services. We are experienced specialists at both new septic system installation as well as at modernizing and upgrading existing septic systems for commercial and residential customers throughout San Diego County. For decades, we have installed only the highest quality septic tank brands at affordable prices, including Infiltrator, Jenson, and B&G Fiberglass. 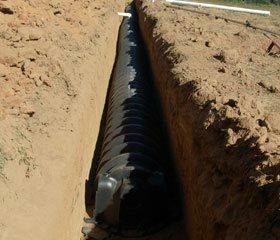 In addition, we are also able to increase the capacity of your existing septic tank system by the installation of additional tanks and/or the extension of existing leach lines. 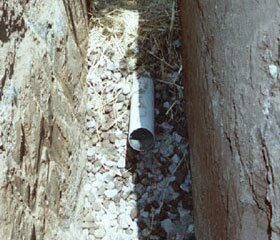 All of our new system installations and existing system modifications are performed strictly in compliance with the Universal Plumbing Code (UPC), which governs septic tank installation and modifications nationwide, and are also expertly designed to maximize the lifespan and efficiency of your septic system. As an additional service when we perform a septic system installation, we also provide a map of the complete septic system, detailing the exact tank location as well as the location of all leach lines. 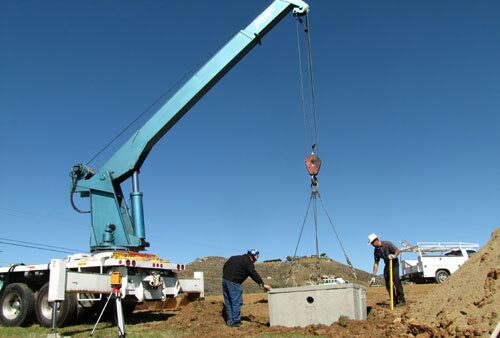 Each municipality has it own specifications for the size of septic tank that needs to be installed per residential household or commercial building size, and we are familiar with each San Diego city's tank sizing requirements, as well as their specifications regarding drain field types. For example, in some cities, a three bedroom home requires the installation of a 1000 gallon septic tank, while a four bedroom home requires a 1200 gallon tank to be installed. 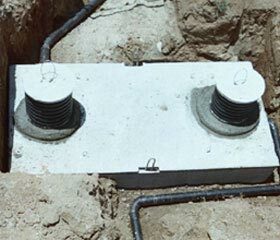 Also, in general, we prefer to install concrete layers over septic tanks in situations where they will be subject to foot traffic, such as in residential yards. In addition, we pull all required permits on behalf of our customers, and maintain an excellent rapport with the building inspectors of each municipality, in this way facilitating the smooth progression of your residential or commercial septic system installation. Moreover, following project completion, our work is inspected by San Diego County's Department of Environmental Health, to ensure that it complies with strict environmental standards. 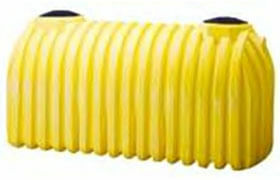 There are three different types of tanks approved for residential use. All of these tanks have at least two lids, one per compartment. NORWESCO septic tanks are backed by a full three-year warranty and have been certified by state and local health departments from coast to coast. Where applicable, NORWESCO septic tanks are backed by a full three-year warranty and have been certified by state and local health departments from coast to coast. Where applicable, NORWESCO septic tanks have been certified by both the IAPMO (International Association of Plumbing and Mechanic Officials) and the CSA (Canadian Standards Association). 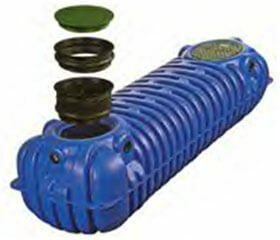 The lids on these tanks are often attached to the tank by four small screws, which must be unscrewed before lid removal.